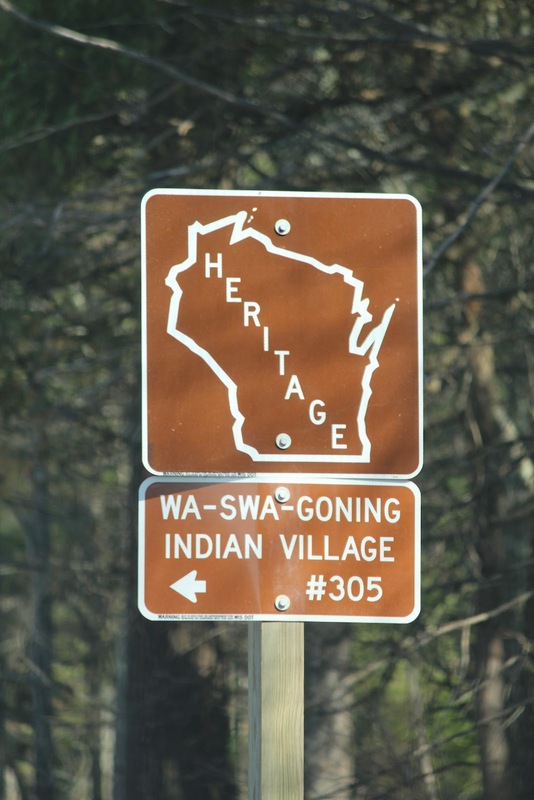 These markers are placed on both eastbound and westbound Wisconsin Highway 47, each about a quarter mile distance from its intersection with County Highway H, Lac du Flambeau, Wisconsin 54538. 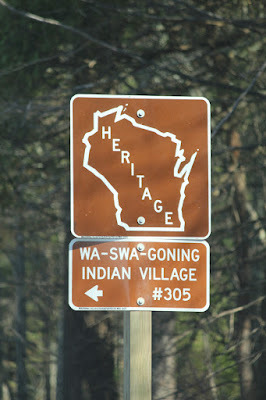 See also, Waswagoning Ojibwe Indian Village. Lac du Flambeau Indian Reservation. With Wisconsin Highway 47 in the background . . .
is the only indication that you have arrived at Waswagoning. At the entrance to Waswagoning.